After submitting a Laserfiche Form, a thank you message will appear stating that your form has been submitted. In Forms 9.1, you could configure this message’s text and styling. 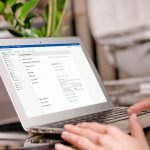 In Forms 9.2, there are even more options for customization. For example, you can now personalize the thank you message by pulling information from the form into the message. 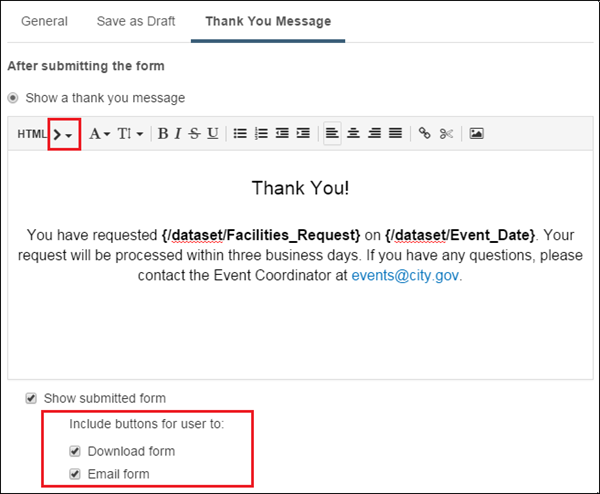 Additionally, Forms 9.2 gives you the option to let submitters download and/or email the form for their own records. Example: Pleasant Valley citizens can reserve rooms in the Community Center for special events. 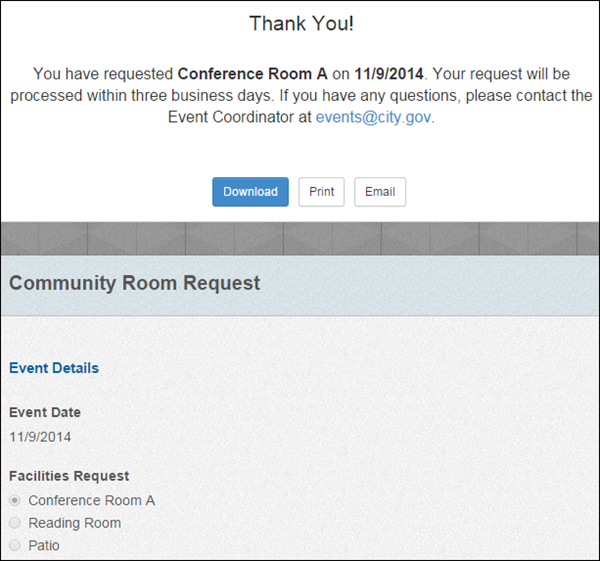 After they submit a form, a thank you message appears that confirms the room for the date they requested. 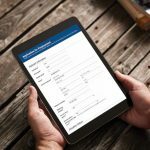 They are given options to download (as a PDF) or email a copy of the form for their personal records. Where do I configure a thank you page? In the Process Modeler, double-click the Message Start Event to open its configuration pane. Click the Thank You Message tab. How do I customize the thank you message to include the information the submitter needs? 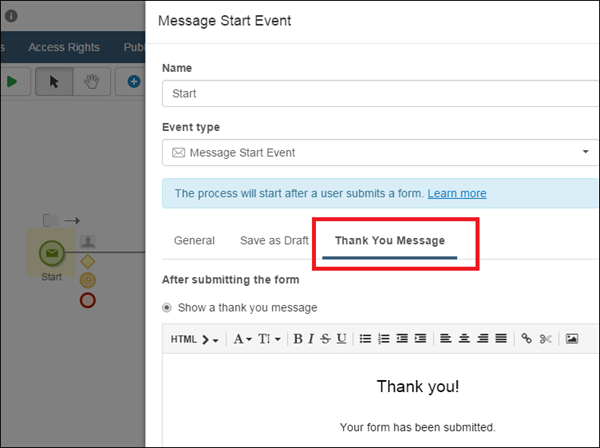 Use the variable button to add information from the user’s form to the thank you message. Learn more about variables. Use the Download form and Email form options below the thank you message to let the user download or email the form. Example: After Pleasant Valley citizens submit their room request, the thank you message includes the specific room and date requested. This information gives users confidence their request was submitted and the information is correct. The message also includes an email address they can contact if they have any questions. What if I want to redirect users to a website instead? Instead of displaying a thank you message, you can automatically redirect users to a website. In Forms 9.2, you can use variables in the website’s URL. Example: Company ABC uses a Laserfiche Form to generate leads. After people fill out a form to indicate their interest in the company’s products, they are redirected to the company’s website. 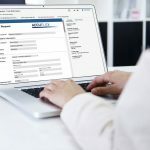 The company has found that leads are more likely to turn into sales if people are sent directly to a webpage about the specific product they had indicated interest in on the form. By inserting the “Product” variable into the URL, the company can direct the user to exactly the right page. For more information, see the Laserfiche Forms 9.2 help files.